Students would be required to average passing scores on end-of-course tests. The Texas Assessment of Knowledge and Skills would vanish from high schools in four years, replaced by a series of end-of-course exams, under legislation on its way to Gov. Rick Perry. In order to graduate, students would have to average passing scores on their end-of-course tests in each of four subjects: math, language arts, reading and science. Each test also would account for 15 percent of a student's final grade in a class. Key lawmakers have argued that end-of-course tests provide a quicker, more thorough assessment of what students learn in their classes. The TAKS measures some material that students learned a year or two earlier. Lawmakers also hope the testing change will show that they're sensitive to widespread concerns among parents and teachers that the TAKS looms too large in Texas schools. Under the new tests, a "student can concentrate on one test at a time, study one course at a time, and it's recent," said House Public Education Committee Chairman Rob Eissler, R-The Woodlands. "The teacher is only responsible for his or her course material." Schools would continue to give the TAKS in grades three through eight. By calling for an average passing grade in each of the four subjects, the state would allow students to fail a test and still graduate on time. But students could not count a test if they score below 60. Students are now required to pass all four sections of the 11th-grade TAKS to graduate. That's proved to be a high hurdle: The Texas Education Agency reported this month that about 16 percent of Texas students who took the 11th-grade test in spring 2006 still had not passed, despite multiple chances to do so. The new graduation requirements and testing plan would take effect with students who enter the ninth grade in fall 2011. By then, the state intends to develop a new system of rating schools to match the testing changes. The legislation also says no grade level will be allowed to spend more than 10 percent of its time on districtwide standardized tests, including TAKS practice. The testing limit would not apply to quizzes or tests developed by an individual teacher or school. Senate Education Committee Chairwoman Florence Shapiro, R-Plano, said, "We're going to make sure there's not too much testing anymore." Provision for new accountability system is maintained without sunset date. The meeting between the House and Senate versions of the end-of-course exam bill – intended to phase out the current exit-level Texas Assessment of Knowledge and Skills – has ended up being neither House-heavy nor Senate-heavy but a hybrid of both chambers. Sponsor Sen. Florence Shapiro (R-Plano) said the TAKS test had outlived its welcome, adding that a decision to end the test did not mean an end to accountability for both students and schools. "We will still have standards and expectations," Shapiro said. "In some ways, these tests will be even more rigorous assessments of what a student has learned." Both House and Senate signed off on a conference report on Senate Bill 1031 tonight -- a one-page summary is here -- even listening to school district concerns and approving an out-of-bounds provision in the Senate to limit testing days to no more than 10 percent of the days in a school year. That translates to 18 out of 180 days. First, your child would take a college readiness diagnostic assessment in both 8th and 10th grades. Your child may choose to take a college entrance exam in the 11th grade –likely to be either the SAT or ACT – at state expense. End-of-course tests would apply only to the high school grades, unless your child is taking an advanced course such as Algebra I in his eighth-grade year. Once your child enters high school – and if he has chosen to pursue the recommended or advanced high diploma -- you would expect him to take three tests a year. These requirements would more closely mirror the state’s new 4x4 curriculum, which would require most high school students to take both four years of math and four years of science. Test scores would be cumulative in each subject area. For instance, your child would have to make a combined score 210 on his three English tests to be considered proficient. If he scores lower than a 60 on any test, his score is scratched and he will have to retake the test until he makes at least a 60. If your child has chosen a basic diploma, he would take only two years of science and be required to reach a cumulative science score of 140 to graduate high school. The compromise on SB 1031 borrows an idea from a bill by Rep. Helen Giddings (D-Dallas). Your child would be required to take a senior level college-preparatory course in the deficit subject area. The end-of-year test in that course would be weighed between 0 and 40 points, and those points would be added to the cumulative score. If you measured your child’s future tests against the current exit-level Texas Assessment Knowledge and Skills, you should expect to see the same rigor in English and social studies and tougher standards in math and science. All students under the 4x4 plan will be required to take Biology, Chemistry and Physics and be tested in those subjects. Because end-of-course tests are more expansive, and required at the end of each school year, the tests should offer a more complete review of each course. You also can expect your child’s end-of-course test to count toward 15 percent of the child’s overall grade in the course. Adding that caveat guarantees that students take each and every test seriously, since it can make at least one grade level difference in a class. The end-of-course tests also would have one more dimension to them. Instead of aiming for proficiency – simply testing against the lowest common denominator – the tests also would include a number of questions that will be known as “depth finders.” These questions, which are not be counted against a student’s score, would determine whether the student rises above the average and might be capable of advance or AP caliber coursework. The SB 1031 compromise also maintains the review of the state’s accountability system, but instead of a sunset date, a new system is mandated in 2011, the same year as the new set of tests would begin. The goal would be to put the initial parameters of this new system – which would include how a school and district’s rating is measured against the end-of-course tests – in 2009, with implementation in 2011. The accountability system also would include a measurement of college readiness. The current testing system has been criticized for its “lowest common denominator” approach. Under the new system, it would be clear which students met the minimum standards and which students meet the testing tally for college readiness. The bill also requires that tests in all grades be capable of measuring improvement across grade levels. Safeguards and criminal penalties to maintain the integrity of the testing system – placed in the original bill – remain in the compromise. Supporters huddle to find a way to revive proposal. Legislation that would have allowed the University of Texas to deny admission to some students ranking in the top 10 percent of their high school class for the first time since 1997 was derailed by the Texas House on Sunday night. Top 10 percent students from Texas high schools have enjoyed a virtually unfettered right to attend any public college or university in the state since lawmakers enacted an automatic-admission law 10 years ago in hopes of increasing minority enrollment, especially at the University of Texas at Austin. Senate Bill 101 would have allowed a school to limit top 10 percent students to 60 percent of its freshmen from Texas high schools. The Senate passed the measure 28-2 Sunday, but the House rejected it on a 75-64 vote. The House sponsor, Rep. Geanie Morrison, R-Victoria, and other supporters of the bill were huddling late Sunday to try to find a way to revive the legislation before time runs out in the legislative session today. Because there is a midnight deadline for passing bills, the issue appeared all but dead for another two years. But the measure's sponsors weren't giving up, and they could force another vote. Soon after the bill was rejected, they started going desk to desk, trying to persuade opponents to change their minds. If lawmakers can get a measure to Gov. Rick Perry, he is likely to sign it. He has said that the current law causes good students to enroll in out-of-state colleges because they can't get into the state's flagship institutions. The House vote was unexpected. The chamber voted 77-67 last week to approve an earlier version of the measure. And House members approved similar proposals during two previous legislative sessions. "The difference between this session and last session may be that rural Republicans seem to have heard from their districts that the top 10 percent rule is helping them," said Rep. Mark Strama, D-Austin, who voted for limiting the law. UT has sought limits for the past few years, arguing that too large a portion of its undergraduate enrollment is being determined by a single factor, squeezing out students with leadership skills, musical talent and other qualities who don't happen to rank high. The university's fall 2006 freshman class had a larger portion, 71 percent, of students from Texas high schools admitted under the law than any previous class. That worked out to 66 percent of all UT freshmen. The automatic-admission law does not apply to students from other states. UT is the only school among 35 public colleges and universities that sought relief from the 1997 law. But any school whose capacity is strained in the future could opt to restrict admission of top 10 percent students under the measure. House rejection of the bill is a major defeat for UT President William Powers Jr., who spent considerable time testifying at legislative hearings and meeting with lawmakers this year. He argued that giving the university more flexibility in deciding whom to admit would allow it to recruit more Hispanic and black students. Minority enrollment at UT has not changed significantly since 1997. Blacks went from 3.7 percent of undergraduates that year to 4.2 percent in 2006, according to university records. Hispanics made up 14.2 percent of the student body in 1997 and 17.1 percent in 2006. Sen. Florence Shapiro, R-Plano, who authored Senate Bill 101, described the measure as a compromise. Some lawmakers, especially members of minority groups to whom top 10 percent is a touchstone of merit-based equal opportunity, wanted no changes. Others, including some representing highly competitive suburban schools whose students increasingly felt shut out of UT, favored repeal. House and Senate negotiators had to resolve differences between the chambers' two versions. The Senate had included an amendment by Sen. Steve Ogden, R-Bryan, intended to award each top 10 percent student in the state a $1,500 scholarship annually. Morrison was resistant, arguing that it makes no sense to offer merit-based aid when the state has not set aside sufficient aid for students with financial need. Lawmakers enacted the 1997 law in response to a 1996 federal court ruling involving UT that effectively banned affirmative action at public colleges and universities in Texas. The U.S. Supreme Court ruled in 2003 in a case involving the University of Michigan that race and ethnicity could once again be considered, and UT resumed taking those characteristics into account. This is part of a series pubished in Edweek.org called "Testing to Teach": "Classroom measures known as formative assessments have a purpose distinct from that of end-of-year state tests. Used during instruction, they aim to provide feedback so that teachers and students can adjust what happens next in classrooms and improve the quality of teaching and learning as it’s going on. “Testing to Teach: Using Assessment to Shape Instruction” takes a close look at a handful of formative-assessment programs to provide a sense of what such measures look like in practice." Ellen Moir left, executive director of the New Teacher Center, meets in her office with staff member Jan Miles in Santa Cruz, Calif., May 8. The center is approaching ten years of operation. It’s growing increasingly common for schools to use formative assessments, classroom measures designed to steer day-to-day instruction based on what students have learned. But a California organization has put its own twist on the trend: It has developed a similar set of tools focused on what beginning teachers themselves are learning. 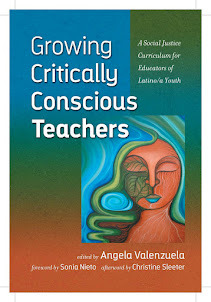 The New Teacher Center at the University of California, Santa Cruz, is a national, nonprofit organization that works to provide systematic support to new teachers, and more recently principals, through the use of full-time mentors. Its formative-assessment system includes tools that range from templates for planning individual lessons, to scripts that capture teacher talk and students’ reactions during a single class period, to midyear reviews of novice teachers’ growth. Together, the tools are meant to provide a framework for guided conversations between mentors and novices that zero in on student learning and help new teachers reflect on their own practice. Teachers in a rural New Mexico district use hand-held computers to assess students’ reading progress and target instruction accordingly. Schools in Boston are gaining insight into their students’ thought processes through a locally developed reading-assessment system. Teachers in a Texas school have shelved some of their math textbooks and turned to an online curriculum and formative-assessment resource instead. A California center is using formative assessment to help beginning teachers reflect on and improve their own work and that of their students. On a recent morning, Erin Brown, a second-year teacher at Radcliff Elementary School here in Watsonville, contemplated a piece of kindergarten writing and then placed it in one of four piles on the desk in front of her, based on whether the student’s work was below, approaching, at, or above her expectations for how children should be writing by the end of the school year. As she sifted through the stack of papers, she noted that her classroom, with 15 boys and three girls, the majority of them English-language learners, could get “pretty crazy.” Still, she’s working with them on learning to memorize and write high-frequency words and to begin using words that they sound out on their own. She’s also checking to see if the students write complete sentences, leave a space between each word, start each sentence with a capital letter, and end it with a period. “How can we scaffold each one of these groups to move them toward the end-of-year goals?” she asked. Over the course of the hour, the novice teacher and her adviser used the center’s “analysis of student work” protocol to compare Ms. Brown’s own expectations with the state and district standards for kindergarten writing, zero in on each group of pupils to figure out next steps, and delve more deeply into the work of a few individual youngsters. Periodically, Ms. Cook offered suggestions, or asked a question that probed Ms. Brown’s understanding of how her students were performing or what she was doing in the classroom. Mentors hired by the New Teacher Center are highly skilled veterans who are released from their teaching duties full time to work with a caseload of about 15 novices, each of whom they meet with about once a week. The meetings typically start off with the mentor and the new teacher filling out a “collaborative assessment log” that reviews what’s working in the novice’s classroom, current challenges or concerns, next steps, and any support needed to move forward. As new teachers use the tools in conversation with their mentors, they’re encouraged to compare their practices to a set of professional teaching standards and assess their levels of proficiency. The center has created a “continuum of teacher development” that describes five levels of teacher performance. As the teachers and mentors collect evidence of the teachers’ work, the continuum enables them to make judgments about their successes and challenges and to identify realistic and specific goals for improvement. While some of the tools, such as the midyear reviews, are used at certain points during the school year, mentors can pick and choose most of the tools as appropriate. Mentors and novices keep copies of the tools in large, portable portfolios that they can refer to over the course of the school year for evidence of growth; they’re also available electronically. On the same day that Ms. Cook used the system’s “analysis of student work” with Ms. Brown, for ex-ample, mentor Cynthia Balthaser used one of the lesson-plan templates with a new 4th grade teacher to help him move away from relying on the math textbook and toward more engaging and focused lessons. The discussion ranged from efficiently assessing students’ knowledge at the start of each lesson to determining and making visible the most important objectives for lessons. As they talked, Ms. Balthaser modified the template to highlight things the new teacher could focus on that would make it easier for him to use the template in planning lessons on a regular basis. “Thanks to Cynthia, I know what’s next and what I have to do,” he said, admitting that he still found it hard to ask other teachers for help and incorporate their ideas into his own teaching style. California’s Pajaro Valley Unified School District, in which Radcliff is located, has also adopted the center’s formative-assessment tools, including the individual learning plans and the midyear reviews, as part of its teacher-evaluation system, so that the messages are reinforced districtwide. But the tools would mean little without the skilled mentors who employ them. All mentors receive training in how to use the assessment tools, including a weekly forum during which they meet to pose and solve problems, practice their mentoring skills, and use formative-assessment tools to track the progress of their novice teachers in much the same way that novice teachers track the progress of their students. At one recent meeting, coaches selected one element of the California standards for professional teaching and divided their caseload into four groups based on how close they were to meeting the standard, using an “analysis of participating teacher development” tool. Then they selected a teacher as a case study, whose practice they analyzed more deeply based on the data they’d collected through the formative-assessment tools. After describing what the educator was able to do well, they focused on how they might support the teacher to meet the selected standard and what evidence would constitute successful growth. Mentor Valerie Leal had been working with her case-study teacher on student engagement. Now she wanted the new teacher to understand how to use those same engagement strategies to check for student understanding during the course of a lesson. While she had modeled some lessons for the novice teacher, she worried that it had been too much information for the novice to absorb. Mentor Maria Reynolds suggested that Ms. Leal ask the case-study teacher to focus on one student during the course of the lesson and check on his understanding, rather than trying to observe the class as a whole. The mentors also decided that Ms. Leal might videotape the model lesson so that she and the new teacher could review it together and pause and discuss what the mentor was doing and thinking at any given moment. Surveys and focus groups of mentors that the center has conducted have found “a huge learning curve for mentors,” said research specialist Anthony Villar. Mr. Villar and others also caution that the tools cannot stand on their own. Rather, they provide an entry point for conversations between the mentor and the novice that are grounded in a strong, trusting relationship. That’s created some tension for the New Teacher Center. With the 1998 passage of state Senate Bill 2042, regulating California’s teacher-credentialing system and setting standards for teacher-induction programs, the center is now using evidence from the formative-assessment tools to help new teachers complete their credential requirements. So far, Ms. Moir said, the center has managed to walk a fine line between evaluation and support by keeping its supportive role at the forefront. American Enterprise Institute, a conservative think tank in Washington. conform to "scientifically based research." arts-and-sciences model, where success equals research productivity,"
success should equal impact on policy and practice." as they are defined by major social institutions." from the independence of academic life." finances research projects that have no obvious policy applications. described as prestigious and well insulated from political pressures. apparatus lacked a sense of focus, he argued. of Education, and less than 1 percent is invested in research." when medicine became professionalized in the early 20th century. surrounding the federal Reading First program might have been avoided. similar reforms in other cities. to create such a thing?" he asked. my neighbors, their sheep and the mountains. and my life became a victory. What does it mean to craft a college campus in the spirit of the place it serves? The University of New Mexico - Taos, an emerging college less than 12 years old, is deeply rooted in the high desert mountains and tri-cultural communities of northern New Mexico. As a tiny collegiate organization crafted through consistent, reflective application of an integrated campus ecology, UNM-Taos embraces holistic values, healthy relationships and inspiring, sustainable built and natural spaces. This article and slideshow, from the perspectives of campus leader and photoethnographic researcher, provide a snapshot of a college developing in congruence with the unique rhythms of its physical and spiritual environment. With heightened awareness since 9/11, U.S. citizens long for places that make them feel nurtured, empowered, inspired and welcomed. We believe that the future of higher education likewise lies in evolving campuses congruent with the spirit of the places they serve and that are much kinder to the earth that sustains us. Querencia is a Spanish word that speaks of a longing for your spirit home and the familiar rhythms of your heart. In fall of 2001, I began my role as a leader in the creation of a new college in my home town of Taos, New Mexico. After 25 years of leading and teaching in other colleges around the nation, I am where I want to be—serving New Mexico in ways I never thought possible. As a person of Spanish and Native American heritage, raised in northern New Mexico, I thought it would grow easier to be away. In truth, it became increasingly difficult each day because I was lost without the rhythms of the Sangre de Cristo Mountains, the smell of desert sage, the headiness of high altitude vistas, the power of alpine storms, skies so blue they hurt your eyes, the passionate blend of ancient and new traditions, the balance of a contemplative life, and the intrusive challenge and warmth of Spanish and Native American relations. I interpreted my leadership responsibility for this emerging campus as facilitating the creation of a campus ecosystem in congruence with the rhythms of Northern New Mexico. These rhythms include strong emphasis on a balanced, contemplative, communal, and spiritual life leading to the building of a collaborative learning community and a sustainable campus ecosystem. What does it mean to live in a place that is your spirit home, regardless of whether you were born there or not? In fall 2003, I began a sabbatical at UNM-Taos to fulfill my goal of involvement, as a researcher, in creating a college and building a learning community in northern New Mexico. As a photoethnographer, I found myself observing the land, people, and diverse cultures that paint a picture of UNM-Taos and the enchanted circle region. Taos is characterized by its abundance of adobe architecture, artistic expression, diverse peoples, deep contrasts, and brilliant blue skies. The Taos community, where UNM-Taos is situated, deeply reflects its 900-year-old heritage. Adobe homes and narrow streets with signs like La Placita and Romero lined with latilla fences adorn this community. Taos Pueblo, nestled into and protected by the highest peak in New Mexico’s mighty Sangre de Cristo Mountains, is a compelling presence in the valley and home to its richly-spirited descendants of early peoples. Ancient acecias wind through the valley, bringing precious moisture from snowy peaks to sustain life-giving pastures. Earth ships, geodesic domes, beer can, glass, and straw bale homes, alternative energy design structures, and buses running on vegetable oil are outward community symbols of creativity, traditional and pioneering ingenuity, sustainability, and independence. Artists abound in such number that there are over 86 art galleries in a valley that is home to only 35,000 people. Cowboys on horseback, pastures of sheep, antique low-rider pickup trucks, bicycle commuters, and motorcycles are also at the heart of the community’s spirit. “Foreigners”—those not born in the community—are often seen as outsiders and, depending on the point of view, may also include those whose families have lived here since the time of the Conquistadores. Spanish and Native American traditional rituals are sacred and lived. The Catholic Church—profoundly altered by Native spirituality and Spanish mysticism—is a formidable presence in the region, yet a wide range of spiritual, religious, and New Wave beliefs proliferate. Those who visit the Taos area cannot help but feel the all-encompassing presence of the Taos Mountain. She is spoken of by locals and visitors alike as a primary personality, energy source and spirit in the life. Local folklore insists that she fully embraces you, or sends you quickly on your way if your spirit is not of this place. Taos is filled with stark contrasts. It is a place where realities—such as the harsh desert, Rio Grande Gorge, and high surrounding mountains; daily responsibility to tribe and/or extended family; and extreme poverty—create conditions in which going away to college remains an impossibility for most. It is a place where creativity and community abound and yet violence is four times higher than the national average. It is a place where magical light attracts thousands of artists, yet there is tension between those from varying cultures. It is a place where education is highly valued and yet life challenges create a high school dropout rate approaching 50 percent. This is the rocky ground on which UNM-Taos is emerging. conversation inevitably turns to testing students. for future exams to ensure fairness and reliability. levels with a dozen new end-of-course exams. the end-of-course exams. It will be worse." session ends in one week. taxpayers should have to foot the bill. from 2005-2010, according to the agency. program," said DeEtta Culbertson, a spokeswoman for the TEA. five-year, $279 million contract with the agency. "Taxpayers are not fully informed of what all of this is costing,"
valid, he said, because students would be more motivated to try. students don't bother showing up. matter and which tests don't," Anthony said. said. Tests have prompted legal challenges in the past. "We use these tests for high stakes in Texas — graduation, promotion,"
have a testing system that's reliable and valid." former director, resigned and accepted a job with Pearson. were hidden in the real tests students must take. Pearson already embeds sample questions in many tests. to use separate, full-length tests, Cloudt said. This is truly tragic and it shows up on down the line in school ratings, poor scores, and dropout rates. One can’t help but wonder how extensive this problem may be in other areas of the state—or in other states with even less familiarity or history with this population. Inasmuch as low accountability ratings and threatened school closures are mediated by the concentration of English language learners in schools, the impact of Texas and federal law adversely affects schools that are disproportionately comprised of culturally and linguistically diverse learners. This aspect of policy is unfair and should concern us. Though this rapidly growing group is marginal to state policy and politics, it is hardly a marginal group from a demographic perspective. As our state demographer, Dr. Steve Murdock, predicts, however we fare with this population is precisely how we fare into the future both as a state and as a nation. Whatever one thinks about immigration, this community is here and it’s growing significantly. If we care for our state and nation, it’s time to place this “sub-population” at the center of policy development and educational reform. And this is no single entity’s task, but is rather something that all must attend to. New database created to improve system caught discrepancy. English as a second language services. which they must pass for promotion in some grades — in Spanish. resources to make sure that students who need help get it. additional services to the students so they can catch up. quality of life they are going to have outside AISD." bilingual education or ESL programs, García said. assistance, can be allocated to help the students. students get the best services that they can." A former adviser to the federal Reading First program will leave his current position at the U.S. Department of Education at the end of next month, the agency announced one week after a congressional report questioned whether he had gained financially in that previous job by promoting certain commercial products. Edward J. Kame’enui will resign as the commissioner of special education research at the Institute of Education Sciences, which is a division of the department, at the end of June, the IES said in a May 16 statement. Mr. Kame’enui had been serving under a two-year agreement at the institute, which was set to expire at the end of next month, and he had already planned to leave the institute at that point, IES spokesman Mike Bowler said. He will return to his faculty position at the University of Oregon, in Eugene, according to the statement released by IES Director Grover J. “Russ” Whitehurst. Controversy swirled over Mr. Kame’enui’s previous role as a technical-assistance adviser to the $1 billion-a-year Reading First program, which was established as part of the No Child Left Behind Act in 2002 to improve reading instruction in the early grades. A report released May 9 by Sen. Edward M. Kennedy, D-Mass., said that Mr. Kame’enui served as a high-level federal adviser to states while promoting a commercial reading program that he had written. During that time, Mr. Kame'enui was responsible for providing advice to states about the kinds of texts and assessments that would meet Reading First requirements. Between 2003 and 2006, he earned at least $150,000 a year in royalties and compensation from Pearson Scott Foresman, which publishes a textbook he wrote with another university professor, according to the congressional report. Senate investigators described financial gains acquired by Mr. Kame’enui and three other researchers who served as regional service directors of Reading First. Overall, outside income “soared” for the researchers between 2001 and 2006, when they were serving as consultants to Reading First, according to the report released by Sen. Kennedy, the chairman of the Senate Health, Education, Labor, and Pensions Committee. Following that Senate report, Rep. George Miller, D-Calif., who chairs the House Education and Labor Committee, called on Mr. Kame’enui to resign. Rep. Miller said Mr. Kame’enui had been “less than candid” in earlier testimony before his committee in April, which explored alleged improprieties in the implementation of Reading First. Just last week, Secretary of Education Margaret Spellings was asked after a hearing by the House committee if she would ask Mr. Kame’enui to resign. “I don’t know,” the secretary responded. She made no mention at that time of any previous plans by Mr. Kame’enui to leave the department at the end of a two-year stint. Mr. Kame’enui’s current supervisor, Mr. Whitehurst, praised his work at the Institute of Education Sciences, which oversees research on a broad range of school issues. Mr. Kame’enui helped arrange the staffing and organization and helped manage studies and grants at the National Center for Special Education Research, Mr. Whitehurst said. “These are significant accomplishments,” the IES chief said in a statement. Mr. Kame’enui has been working at the IES under a two-year term under the federal Intergovernmental Personnel Act, which arranges partnerships between educational institutions and federal agencies, institute officials said. Cindy Cupp, a Georgia-based reading-program publisher whose complaints about alleged conflicts of interest in Reading First helped spark investigations into the federal program, said she hoped the exposure given to Mr. Kame’enui’s activities would lead to stricter oversight of the programs. Legislators should keep in mind the 39,095 public school students who won't graduate with their senior class this year as they consider what to do about the state's high-stakes testing system. That is 16 percent of the state's 244,346 senior class for 2007. Many of those students earned the right number of credits, passed all their courses and had good attendance. Yet, their future opportunities for college and the work force will be limited because they won't have high school diplomas. Those students were tripped up by a single test — the Texas Assessment of Academic Skills. State law requires that students pass an exit TAKS in four subjects to graduate — math, language arts, science and social studies. Failure to pass any of the four tests means no diploma. Everyone agrees with the goal of setting high standards and ensuring that students can read, write and compute on a high school level before they get diplomas. Colleges want to know they can do that. Employers want to know they can do that. Mom and Dad want to know they can do that. But in too many instances, high-stakes testing undermines an equally important goal of education — teaching students how to think and analyze. Teachers spend too much time teaching the test — what kind of pencil to use, techniques to pass multiple choice and standardized tests and so on. We share parents' and teachers' disappointment and frustration with the state's TAKS system. It is rigid, narrows the curriculum and places too much emphasis on a single exam. The TAKS has created a class of students in Texas who are neither high school graduates nor dropouts. They are what we call TAKS refugees. It's time for the TAKS barrier to come down. Sen. Florence Shapiro, R-Plano, chairwoman of the Senate Education Committee, passed a bill through the Senate that would maintain high standards and accountability while de-emphasizing high stakes testing. Senate Bill 1031 would greatly improve the system by placing the emphasis on testing what students learn in the classroom, and free teachers to teach subjects rather than tests. It requires high school students to take end-of-course exams to test their knowledge in English, math, science and social studies. Students still would have to pass with a 70, but the tests would make up only 15 percent of their overall grade. Rep. Rob Eissler, R-The Woodlands, chairman of the House Public Education Committee, is shepherding Shapiro's bill through the House, where it could come up this week for a vote. His substitute plan for Shapiro's bill has two key changes: Schools would shift to end-of-course exams in 2011 instead of 2009, as Shapiro's bill stipulates. That seems reasonable because it would give the state or districts more time to develop new exams. Eissler's measure also would require students to pass four tests to graduate in upper-level high school courses in language arts, math, science and history. In that regard, Shapiro's bill is better because it allows students to score an average of 70 on all tests so that no one exam prevents them from graduating. So a gifted math student who makes a superior score in math and science but a lesser score in history or English won't be denied a diploma. We know that hundreds of students in Austin and across Texas won't graduate because they failed the TAKS this year. The Legislature can and should remove the TAKS barrier so that public schools are not limiting opportunities for students. "A record number of high school seniors -- 40,182 -- who took the exit-level exams last year as juniors will not graduate this spring because they still have not passed one or more of the TAKS tests. That's 16 percent, up from 13 percent last year." The public really does deserve to see these numbers broken down even further. Which students are the most adversely impacted? Might they be poor children? Or English language learners? Do males still perform less well than females? All this data that the state has an a clearer picture isn't provided. Children should not have to bear the burden of unequal opportunity in our schools through such mechanisms as underfunding, tracking, or poor testing practices. Plus, just becauses kids do poorly doesn't mean that someone doesn't profit from all of this. More failures equal more testing equal more money for the testing companies. And, student failures engender both public relations, and real education disasters, that pave the way for the privatizers who want to convert public spaces into corporate ones. I'm reading a manuscript today on the politics of disaster written by Kenneth Saltman. It'll be out soon. Mainly, it considers how both natural and human-made disasters provide opportunities for the profiteers. One of his chapters in this vein is on NCLB. Powerful! Overall, his book demonstrates insatiable and predatory greed that drives neoliberal capitalism to feed on both natural and human-made disasters for profit. He cogently demonstrates how today's form of age-old class struggles is legitimated by deceitful and self-serving corporate values and high-sounding rhetoric (e.g., "No child left behind") that seek to privatize all aspects of human existence. Sophomores struggled, and seventh-graders improved on this year's Texas Assessment of Knowledge and Skills. The Texas Education Agency released passing rates Friday for the state's high-stakes assessment tests, which were given this spring. Statewide, 70 percent of students passed all tests taken, up from 64 percent last year. But the number of seniors who won't graduate this year because they failed at least one exit-level TAKS exam has reached an all-time high -- more than 40,000 students, or about 16 percent of those who took the tests as juniors last year. The TAKS was given to about 3 million Texas students in grades three through 11. The state administers 27 exams covering five subjects -- math, science, social studies, writing and English/language arts/reading. Students who fail a test can take it again. Students must pass the third-grade reading test to be promoted to the fourth grade, and the fifth-grade reading and math tests to move up to the sixth grade. High school juniors must pass tests in English/language arts, math, science and social studies to graduate. They can continue taking those tests through their senior years. Statewide, the percentage of 10th-graders who passed the English and science tests dropped. English passing rates fell to 84 percent from 85 percent. Science test passing rates fell to 58 percent from 60 percent. The trend held in area districts, too. In Grapevine-Colleyville, the passing rate for sophomore English tests dropped 2 percentage points to 95 percent. Sophomore rates dropped to 82 percent from 83 percent in math and to 82 percent from 85 percent in science. In Hurst-Euless-Bedford, 10th-grade passing rates climbed to 79 percent from 73 percent in math, but fell to 91 percent from 94 percent in reading. This year's seventh-graders were the first group of students who had to pass the third-grade reading test to be promoted to the fourth grade, and fifth-grade reading and math to move to sixth grade. Next year, they will be the first group who must pass the eighth-grade reading and math tests to go to ninth grade. Passing rates for Texas seventh-graders jumped 6 percentage points in both math and reading, and 3 percentage points in writing. "We are so proud of these students," Commissioner of Education Shirley J. Neeley said in a release. "They have indeed benefited from the reforms enacted during this decade." In the Birdville school district, seventh-graders increased their passing rates by 10 percentage points in reading and 7 percentage points in math. A record number of high school seniors -- 40,182 -- who took the exit-level exams last year as juniors will not graduate this spring because they still have not passed one or more of the TAKS tests. That's 16 percent, up from 13 percent last year. "I know the immediate concern deals with commencement activities, but students also need to keep their eye on the ultimate goal: earning a high school diploma," Neeley said. "I encourage all who still need to pass one or more parts of the TAKS to retake the test this summer." But this year's juniors have improved over last year's. Passing rates increased on the exit-level English, math and science tests. Social studies held steady at 94 percent. Staff writers Eva-Marie Ayala, Jessamy Brown, Sarah Bahari, Martha Deller and Terry Webster contributed to this report. Northwest Students improved in 22 of the 27 testing areas from last year. Every grade improved in math. Science scores, however, declined for 10th and 11th grades. Science will be a target area next year, Superintendent Karen Rue said. Carroll Every student passed reading tests in the third, fifth, sixth and eighth grades, the seventh-grade writing tests, and exit-level social studies. Keller Ninety-eight percent of third-graders passed the reading exam. Of Keller sophomores, 89 percent passed the English test, and 72 percent passed math and science. Mansfield Schools saw gains in reading and social studies. The district continued to have mixed results in math and science. The passing rate for sophomore science dropped 6 percentage points from last year to 58 percent, and the rate for juniors dropped to 80 percent from 84 percent. In math, the ninth grade passing rate dropped to 59 percent from 61 percent, and the 10th-grade rate fell to 60 percent from 61 percent. Westlake Academy Reading passing rates were 100 percent for fifth-, sixth-, seventh- and ninth-grade students. Every eighth-grader passed the science test. Eighty-five percent of seventh-graders earned commended performance designations in writing. Castleberry Fourteen seniors will not graduate until they pass at least one more TAKS test, Superintendent Gary Jones said. But those seniors will participate in an August commencement if they pass the summer TAKS tests, he said. Aledo Superintendent Don Daniel said only two of 276 Aledo High School seniors -- a foreign-exchange student and a mid-year transfer student -- will not graduate because of TAKS. That does not include students in the dropout recovery program, whose data was not available Friday, he said. Azle Spokesman Ray Ivey said officials are generally pleased with the TAKS results, which show improvement in most categories. Eighteen seniors still need to pass at least one TAKS test to graduate, but they will be allowed to participate in commencement by signing a contract to pass the remaining TAKS, he said. Everman Superintendent Jeri Pfeifer estimated that 30 seniors will not graduate because they still must pass at least one TAKS test. Fort Worth and Arlington The districts did not release the results of their TAKS exams Friday. House legislation sought to overturn policy allowing undocumented students to get cheaper tuition at universities. An attempt to overturn a groundbreaking 2001 Texas law allowing certain illegal immigrants to receive cheaper in-state tuition rates at state universities all but died in the House late Wednesday. After Speaker Tom Craddick, R-Midland, upheld a challenge to House Bill 159 on a technicality, the legislation's sponsor, Rep. Bill Zedler, R-Arlington,said it was too late to bring the bill back to the floor. "I feel we had the votes to do this," a disappointed Zedler told reporters. "Let me tell you, this has been a big issue with our constituents." Zedler said he would look for an opportunity to attach the bill to other legislation during the session's waning days. Rep. Roberto Alonzo, D-Dallas, hailed Craddick's decision, calling Zedler's legislation an attack "on the most defenseless, in this case students who are doing well" academically. House Bill 159 would have amended the Texas Education Code, prohibiting illegal immigrants from being considered residents and eligible for the cheaper tuition. Since 2001, 11,130 of the millions of students attending Texas higher education institutions have used the law to qualify for cheaper tuition at 81 state universities, health-related institutions and community, technical or state colleges. The figure includes undocumented students and legal residents, according to the Texas Higher Education Coordinating Board. Since Texas enacted the law, with strong bipartisan support and little opposition, nine other states have passed similar legislation. But with Congress unable to find solutions to illegal immigration, state legislatures are struggling to decide whether to extend or deny in-state tuition to illegal immigrants. Three states have restricted access. In Arizona last year, voters approved a proposition denying in-state tuition to undocumented residents. House Bill 159's supporters contended that making it easier for immigrants to attend public universities gives preference to people who violated immigration laws, costs taxpayers and provides incentives for illegal immigration. "What we've done by this law is, we've encouraged illegal behavior," Zedler said during a contentious floor debate. But Rep. Rick Noriega, D-Houston, who sponsored the original 2001 legislation in the House, said Zedler's legislation did not address whether the current policy has been successful. Noriega said the bill affirmed voices of intolerance that believe immigrants cause "difficulties in our society." "Do we believe that upholding immigration laws somehow equates to intolerance?" Zedler asked. 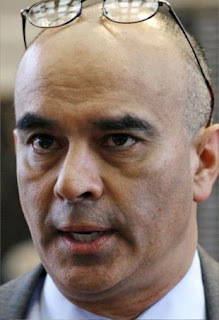 Noriega and supporters of the current law argued that it benefits the brightest overachievers with the greatest likelihood of contributing to Texas' economic future. Having immigrants pay nonresident rates, which are more than three times higher, effectively puts higher education out of their reach, they contended. They said it made little sense to effectively deny immigrants a higher education when the state spends tens of thousands per student to provide a primary and secondary education, required by federal law. Some companies are adopting policies that require employees to speak only English on the job, spurring a backlash of lawsuits alleging that such rules can discriminate against immigrants. The English-only policies are coming as the number of immigrants in the USA soars: Nearly 11 million residents are not fluent in English, according to U.S. Census data, up from 6.6 million in 1990. Nearly 34 million residents are foreign-born, according to 2003 U.S. Census data. That's up from 24.6 million in 1996. "This is becoming a much bigger issue," says Amy McAndrew, an employment lawyer at Philadelphia-based Pepper Hamilton. "Employers want to have policies because of safety and customer service, but they have to be careful not to be discriminatory." Employers may legally adopt an English-only speaking rule if they can show it is a business necessity, such as the need for communication with co-workers and customers or safety-sensitive situations where use of a common language could prevent an emergency, she says. But Ronna Timpa, owner of Workplace ESL Solutions in Henderson, Nev., says employers go too far in adopting strict policies that prevent co-workers from talking in their native language even during lunch. "Imagine how you would feel if you couldn't speak your own language in the bathroom," she says. The issue typically comes up in lower-wage and service-sector jobs. The number of charges filed with the federal Equal Employment Opportunity Commission (EEOC) alleging discrimination based on such English-only policies is small but six times as large as 10 years ago, from 32 charges in 1996 to about 200 in 2006. "If the rules enter work breaks, they will be difficult to defend or justify," says Dianna Johnston, assistant legal counsel with the EEOC, adding that some employers also have policies requiring employees to be fluent in English. Employers have faced lawsuits for enforcing English-only policies. In April, Flushing Manor Geriatric Center agreed to pay $900,000 to settle an EEOC lawsuit based in part on the company's English-only policy. The New York-based geriatric center barred Haitian employees from speaking in Creole while allowing other foreign languages to be spoken, according to the EEOC. That prohibition also included that no Creole be spoken during breaks, and largely affected employees who worked in nursing, food service and housekeeping, the EEOC says. "There was no justifiable reason when there's not a specific business necessity," says Stella Yamada, an EEOC lawyer. Marc Wenger, a New York-based lawyer representing the geriatric center, says the EEOC characterization is inaccurate and it believes its language policies are consistent with EEOC guidelines. He says there was no restriction on using other languages during breaks, adding the consent degree was not an admission of wrongdoing. Some employers have extended the policy to customers, too. Geno's Steaks, a Philadelphia landmark, generated a storm of media and blogger attention in 2006 when its owner posted a sign requesting that customers order only in English. At New York-based Hakia, which provides an Internet-based search engine, employees who are hired must speak English, and English is the language used for all business communications, says President Melek Pulatkonak. Many employees are immigrants who speak Turkish, German, Russian, Indian, Romanian or Spanish. Employees are free to speak their native language in private conversations. "We have a very international team," Pulatkonak says. "Sometimes we have slips, and we just e-mail them back in English." Danna Diaz Joseph's education -- formal and informal -- prepared her for one of the toughest jobs in the Fort Worth school district. As the dropout czar, Joseph spearheads an ambitious community effort to keep students in school. With the help of several social service agencies, volunteers and school staff, she organized the first "iDream ... iLearn ... iWin Family Summit" on Saturday at Tarrant County College South Campus. About 200 parents and students listened as Fort Worth school district and TCC speakers encouraged them to dream big and work hard to reach their goals. When friends ask Joseph how she's progressing toward her goals, she responds, "Estoy luchando" -- I'm struggling. "Life is hard," Joseph said. "If we teach young people how to overcome barriers, then the world is in the palm of their hands." She knows the dropout challenge well. In addition to her Ph.D. in education administration from the University of Texas at Austin, she earned a doctorate in survival in the streets and projects of Harlem. As a former gang member, pregnant teen, high school dropout and single parent, she learned that poverty, a drug-addicted father and negative peer pressure will lead youths astray. "I know how it is to be underserved and know how it is to be a person of color ... I think that's what gives me the edge," she said. At age 7, she aspired to become a teacher but had no idea how she would achieve the goal. At 7, she learned that Columbia University was just down the street from her neighborhood when a professor was killed in front of her elementary school. In organizing the summit, she thought that schools of higher learning should open their doors to students and parents who live nearby so that they can demystify the academic world. Students need to walk the campus, see the classrooms and envision strolling across the stage and receiving their degrees. They need to learn how to convert dreams to reality. Joseph has planned a second summit at the TCC Northwest Campus in the fall and a third at Texas Christian University next spring. Juan Garcia, vice president for student development services at TCC South Campus, said the college is partnering with schools to help parents and students prepare for college. "It's important to educate the Latino community," Garcia said. "We are the largest minority in the nation, but we're not represented in those numbers in the colleges and universities." Joseph said that students drop out for several reasons. If a student falls behind academically and is retained in class, the chances of dropping out increase 50 percent. In the "High School Redesign" breakout session, a Fort Worth school district instructor said that studies have shown that a student failing the fifth grade TAKS in reading will have a 90 percent chance of not graduating. Teen pregnancy and taking a job to help the family finances increase dropout risks, Joseph said. Another factor is that modern students, steeped in technology, are more easily bored with traditional lecture teaching formats. In the "High School Redesign" session, the instructor talked about re-educating teachers on how to engage these students more effectively. At 21, Joseph earned her high school degree and pursued her dream to become a teacher. She recalled that a teacher supervisor told her that she could never be a good teacher until she mastered English. In two years after graduating from college with a bilingual education degree, she earned the Bilingual Teacher of the Year award in a Houston inner-city school. After 30 years in Texas, she knows the Southwest Latino culture well and calls herself a naturalized Chicana. Her desire to serve fuels her passion. "I have to keep on moving," Joseph said. "Because if I don't do it -- who will?" The community should respond to that challenge with: "We will!" Plan caps admissions but offers scholarships. Texas students who graduate in the top 10 percent of their high school classes would get a scholarship worth about $1,500 per year to any state university but would not be guaranteed admission to the school of their choice under a plan approved Friday by the Texas Senate. The Senate voted 28-2 to cap at 60 percent the portion of a university's freshmen from Texas who must be admitted under a 10-year-old policy that guarantees a spot for students who finish in the top 10 percent at Texas public high schools. The plan to change the state's top 10 percent law would end in 2015. 'It keeps the pressure' on universities to prove they are using the system to maintain diversity, said Sen. Royce West, with Sen. Florence Shapiro. Sen. Steve Ogden Republican added provision to give students $51 per semester hour in tuition. The Senate plan, which will now head to the House for consideration, says no more than 50 percent of a university's entering class from Texas must be automatically admitted. Schools will hand out those automatic slots based on students' grades. The final 10 percent will be awarded based on grades and other factors, such as test scores and school activities. About 71 percent of the freshmen entering the University of Texas at Austin last year who went to high school in the state graduated in the top 10 percent. School officials have called for a cap on that rule to give them greater leeway in deciding who gets in and to increase diversity. "We're changing at the insistence of the University of Texas and many of the members on their Board of Regents, even though when you begin to look at the numbers, in many instances it's working," said Sen. Royce West, D-Dallas. Some Republican senators said the law needed changing because the rule has denied spots to good students from large, competitive high schools who did not graduate in the top 10 percent of their class. Sen. Steve Ogden, R-Bryan, said he wants more — not fewer — students from the top of their class going to Texas universities. He attached a provision to the Senate plan saying that the state would cover $51 per semester hour in tuition for students who are in the top 10 percent of their class, which would be about $1,500 per year for a student taking 15 hours a semester. "It's a signal the State of Texas is trying to send to its high school students that if you study hard and work hard, there are immediate benefits," Ogden said. Students would have to carry full-time course loads and maintain a 2.5 grade-point average to keep the scholarship. The state would give schools the money to make up for those awards, which are expected to cost $25 million the first year and eventually $100 million per year. Students entering school in fall 2008 would be the first ones affected by the new admission rules and eligible for the scholarships. Top 10 percent graduates who do not get into the school of their choice would be automatically admitted to any other school in the same university system. The Legislature wrote the original policy in 1997 in the wake of a federal appeals court decision making affirmative action illegal in Texas college admissions. The U.S. Supreme Court later said race could be considered. The policy aims to ensure diversity on college campuses, although some question how effective it has been in doing so. At UT-Austin, African American enrollment went from 3.5 percent of undergraduate, graduate and law students in 1997 to 3.9 percent in fall 2006, and Hispanic enrollment went from 12.6 percent to 15 percent during the same period, according to school records. The Senate plan would end the new policy in August 2015, reverting to the current top 10 percent law. "It keeps the pressure on the University of Texas or any other institution to come back to the Legislature and show that they are doing what we want them to do as it relates to maintaining diversity," West said. Senators voted 18-11 against an amendment to the proposal by Sen. Florence Shapiro, R-Plano, that would have ended the top 10 percent rule entirely. Among all the crisis that plague the well-being of Latinos, diet, or lack of it, is at the top. A new nutritional guide scheduled for a national roll-out this month, titled Camino Mágico , released this week by the Latino Nutrition Coalition and a company named Oldways presents yet another guide to get Latinos back on a healthy track. What's remarkable about this guide is that it doesn't discount Latino cultural roots when it comes to creating healthy food choices - but builds on them. What is so unique about this guide in addition to building on centuries of healthy eating habits as first practiced by Indian ancestors is that it is very much a visual guide as well - and practical. One of the most disappointing features of any diet plan is how the authors of the plan work in foods that aren't normally part of our shopping habits. From what we've seen, this guide doesn't do that. In fact, in an effort to get Latinos to rediscover our "roots" when it comes to eating healthy, the Latino Nutrition Coalition provides a page defining Latino Ingredients, A to Z. From the list, it's easy to see that the most basic ingredients have long been a part of our cultural diet. Somewhere along the way, they were forgotten. As has been drilled in us all - it's never too late to start getting healthy, but it can be deadly if we don't do it at all. The child-made banners in the hall leave no doubt about what country Radnor primary is in. The largest is studded with photos of Tom Jones, Anthony Hopkins, Catherine Zeta Jones, Shirley Bassey and more celebs past and present. In the classroom, year 5 and 6 children answer the register with "prynhawn da" (good afternoon), and the teacher praises achievement with "da iawn!" (well done). Like Jones, or Owen Glendower, the Welsh tongue is part of the children's national heritage, and they identify with it. "People want to learn their language," says 11-year-old Laura. Notices around the Cardiff school are in English and Welsh, and crib sheets remind teachers to use Welsh phrases such as "bo bol bach!" (literally, it means "little people") instead of English ones such as "goodness gracious!". Across the Severn, Lord Dearing's report, published in March, has strengthened the government's commitment to the teaching of foreign languages in English primary schools. The education secretary, Alan Johnson, accepted the recommendation that modern languages should become part of the statutory curriculum from age seven by 2010. The report comments on children's enjoyment of language learning and notes that the groundwork has already been laid - some 70% of primaries already teach a foreign language in some form or have plans to do so. In most European countries, children start learning foreign languages at seven, and as Dearing's interim report in December noted, children's enjoyment is not the only issue. "The British Council warned earlier this year: 'monoglot English graduates face a bleak economic future, as qualified youngsters from other countries are proving to have a competitive edge over their British counterparts in global companies and organisations'." But when it comes to looking for a country where a second language is universally taught to English speakers in primary schools, there's an example right here in the UK. While teaching French or Spanish in England can't be directly compared with teaching Welsh in Wales, there are surely lessons to be learned. Welsh as a first or second language became compulsory from age five with the introduction of the national curriculum in 1989, so Wales has more than 15 years' experience of systematic language teaching to national standards. And the desire to develop a truly bilingual country is still at the heart of education policy. The experiment started somewhat chaotically as, despite intensive and expensive training programmes, and a rolling programme that started with children in years 1 and 7, there was an inevitable shortage of teachers of Welsh. There was also resentment in some English-speaking areas, with several secondary schools near the border holding out against the Welsh invasion for nearly a decade. Good teaching materials were thin on the ground. A decade later, standards of Welsh in English-medium primaries remained dodgy, but now the subject is holding its own. In its 2006 annual report, the Welsh schools inspectorate, Estyn, found that around two-thirds of primaries developed children's bilingual skills well. Experts agree it is important to "embed" language into daily activities, through games, songs and incidental use, such as answering the register and giving praise and simple instructions. Nigel Pearson, primary languages adviser for Cilt, the national centre for languages, says children can do simple addition in French or Spanish, and familiar stories such as Goldilocks or Little Red Riding Hood can be told or acted out in other languages. The internet and interactive whiteboards make it possible to talk about foreign food in class and see it before your eyes directly from the country in question. Partly in the light of the notoriously overcrowded primary timetable, Dearing advocates cross-curricular teaching, and Pearson agrees that dedicated lesson time is not necessary in primary schools. Through "creative embedding", it can enhance rather than detract from subjects such as humanities or RE. A few minutes spare at the end of the day can be used to sing a song or do a few mental maths exercises in a foreign language. John Bald, primary languages consultant to the Hackney Learning Trust in east London, believes it is feasible to give every child a baseline in a language by 2010, even without a prescribed curriculum. This will, he says, make their acquisition of language in secondary school smoother, as the earliest stages of a language are the hardest to learn. "It means children won't have a cliff to climb in year 7." Bald wants to see children reach a level where they can write a few sentences about their friends and families. And, he adds, it is sensible that there should be guidance rather than prescription at this stage, because "we don't know what works best". The Dearing report calls for primary languages to become statutory in the next national curriculum review, and expects research on methodology to accumulate by then. In Wales, the set-up is more formal. At Radnor primary, infants have a dedicated hour a week of Welsh, and juniors just over an hour; but the level of attainment by year 6 seems in line with Bald's wish. Laura, Lawrence, Ffion and Anika all found learning Welsh fun. "You get to see what other people speak," says Ffion, 10. "It makes you feel talented," adds Anika, also 10. Eleven-year-old Lawrence points out that when he goes to north Wales, where everyone speaks Welsh, he can speak a bit, too. They all enjoy learning through games, and agree that the younger you start, the better. Their teacher agrees. "I think if children learn a second language from early on, it does make it easier to learn a subsequent language," says Pritchard. "It gives them success, and the confidence to realise they can learn further languages." Teaching is topic-based, with vocabulary and sentence structure increasing in complexity. The emphasis is on oracy, but a Welsh text is studied every half-term. For children who have English as a second language, it can be difficult at first, but because of their ear for languages, they pick up Welsh quickly. "You can see the delight on their faces," says Pritchard. Bald argues that the factor that will make similar success in England possible is ICT. The pioneering work of Glynis Rumley, whose Pilote software was the first to bring the voices of children from a French primary into the Anglophone classroom, has made it much easier for non-specialist primary teachers to teach a language. "The role of explanation in language learning is crucial," he says. "I explain that French people like their language to flow, and that putting words such as je and ai together makes it sound jerky." Children practice forming "j'ai", using software, and then move on to writing sentences on the whiteboard. Support from secondary schools is also easing the introduction of primary languages in England, with increasing numbers of modern foreign language teachers doing outreach work. This is important, because if the government hopes that enthusiasm built in the primary years will boost the take-up of languages at GCSE, they will have to get the transition right - as Dearing acknowledges. Welsh local authorities such as Cardiff are now developing ways to improve links between primaries and secondaries in Welsh language teaching, because pupils' enthusiasm for the subject wanes when they are teenagers, hitting its lowest ebb at GCSE level - at key stage 4, only 19 out of 45 lessons visited by Estyn in 2006 gained the top two ratings. Much of this has to do with a shortage of qualified Welsh-language teachers in non-Welsh-speaking areas. And although the Radnor primary children say they are looking forward to studying a third language in high school, take-up of foreign languages at GCSE in Wales is much lower than in England: 30%, compared with 51%. At present, there are no plans to mandate another language in Welsh primary schools. But things are not standing still - Welsh is now moving into the early years in English-medium schools in Wales, with the ultimate goal that all foundation classes will be completely bilingual.